When you’re experiencing symptoms and are unsure of the cause, you seek help from a doctor assuming they will appropriately diagnose and treat your medical condition. Unfortunately, doctors make mistakes, even with years of specialized training and experience. In many cases, you won’t discover that your doctor made an error in diagnosis or treatment until you seek a second opinion. At this point, you may have already suffered serious, life-altering complications. 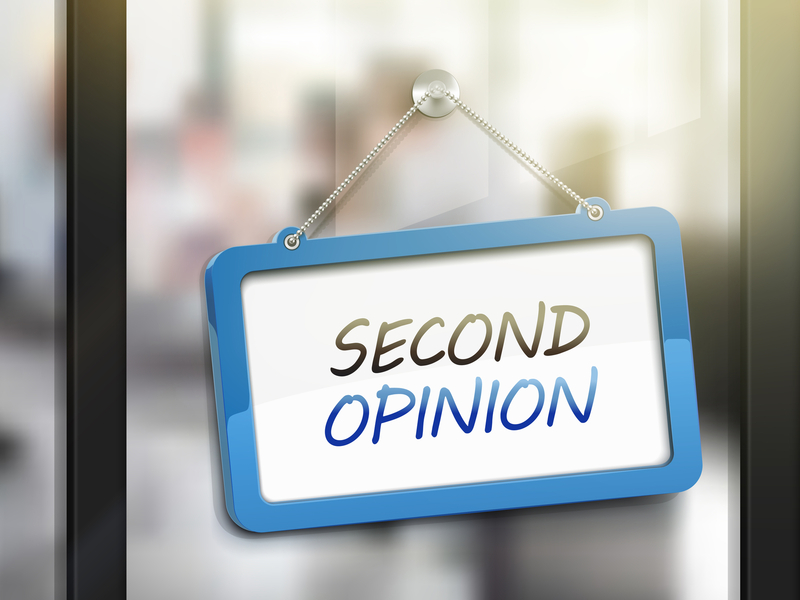 To learn more about why should consider getting a second opinion, continue reading. If you’re experiencing medical problems under the care of your current doctor, or you found out your initial physician may have been negligent, it is imperative to understand your rights and options as a patient. For additional information about what you can do if you suffered an injury because of a doctor’s or hospital’s mistakes, contact Fronzuto Law Group today at 973-435-4551. Our experienced New Jersey Medical Malpractice Attorneys provide free case evaluations and we’re here to answer all of your questions. It is your doctor’s responsibility to accurately diagnose your medical condition. While the underlying cause of your symptoms remains unknown, they could be linked to innumerable illnesses and diseases, some of which are treatable and may resolve in weeks, while others have the potential to take your life. If a doctor diagnoses you with a serious condition such as cancer, says you need medication to treat and illness or disease, recommends surgery or another medical procedure, or determines that there is “nothing wrong” with you at all, you rely on them for certainty. After being diagnosed with a medical condition, you have significant decisions to make about the course of treatment to pursue. To make these critical decisions about your medical care, you need to know and understand your condition and all of your treatment options. Before proceeding with a medical intervention like surgery, doctors and hospitals must obtain informed consent. In any scenario involving your medical care, you are entitled to be educated about your condition and the measures available to treat it. Without this knowledge, you cannot truly make an informed decision. Sometimes, it can feel as though your doctor has little time to explain your diagnosis. Perhaps your prognosis is dire and you feel a sense of urgency to act immediately. Or maybe your physician presents only one path of treatment, leaving you to wonder if there are other available treatment options. Regardless of the circumstances, a lack of knowledge deprives you of the ability to thoroughly understand and weigh each of your options. To make the best choice, a patient needs to know the benefits and the risks. Don’t worry that your doctor will be offended by your desire for a second opinion. Remember, it is your body, your health, and the rest of your life. Getting a second opinion allows you to move forward with confidence. Prior to meeting with the medical professional providing your second opinion, make sure to gather all of your medical information, including current and past medical records, test results, and your first doctor’s diagnostic and treatment determinations. Your second opinion may result in multiple outcomes. It may affirm your doctor’s conclusions, diminishing some of the worry you feel. It may provide you with alternative treatments that you hadn’t considered, or an entirely different diagnosis that requires different treatment altogether. It may open your mind to treatment methods that are better aligned with your situation and priorities. In some cases, it will uncover a medical mistake. Errors in diagnosis and treatment occur with astounding frequency. Although hard to believe, sometimes healthcare providers actually do more harm than good. If your doctor misses a critical diagnosis like cancer, misdiagnoses your condition as something else, or provides the wrong treatment, the consequences can be seriously damaging, or even fatal. When these events occur, you can hold them responsible and obtain compensation for the damage caused to your health and your life. Remember, information is power. An informed patient is an empowered one. A second opinion may change your mind – it may even save your life. If you or a loved one has already suffered harm due to a medical error in New Jersey, consult with an attorney to discuss your potential claim. Our experienced New Jersey medical malpractice lawyers are here to help. Call 973-435-4551 today for a free consultation. « What is Considered Medical Negligence?